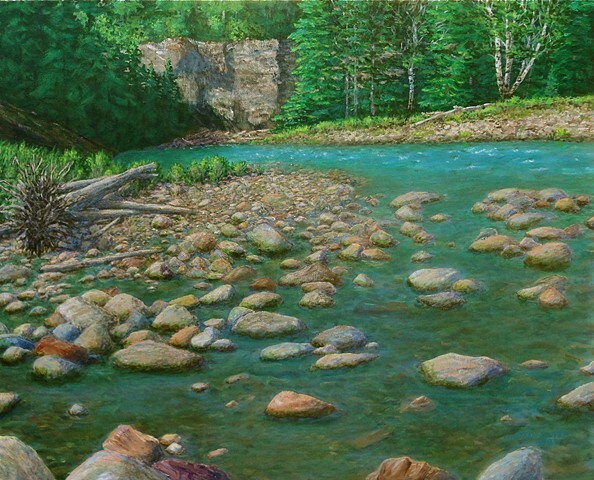 In the Bull River, the turquoise-blue water is crystal clear and the rocks along the shore are every colour of the rainbow. This is what I wanted to show in my painting. I have travelled throughout the Bull River area for many years with my family. This painting is from one of our favourite spots. Not for sale.